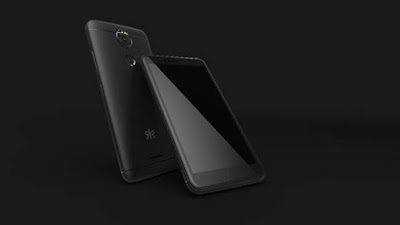 Kult, a new age telecom brand, today announced that its recently launched smartphone Kult Beyond was sold out within the first few hours on Amazon.in. Priced at INR 6,999, Kult Beyond sports class leading features at an attractive price. The device will again go on sale starting 28thAugust exclusively on Amazon.in. It offers many other value added services (VAS) to enhance consumers’ experience. Kult Beyond comes with pre-installed Amazon apps, Amazon Prime Video, Opera mini, Go2pay to recharge/Pay mobile bill, Xender applications, and many other integrated games. . Looking at the customer demand and to provide great after sales service to them, Kult is backed by over 750 service centers, across the country. The smartphone features 5.2inch HD screen size and an HD IPS on-cell display that offers razor sharp viewing angles, clear and striking images. Complemented with a stunning 13MP rear AF camera with Dual Tone LED flash and 13 MP selfie camera with Dual LED Flash, Kult Beyond, enables users to take better and sharper pictures. The camera also comes equipped with beauty and other features such as Vistoso that allows users to print their favorite images on T-Shirts and mugs. Kult is a new age Indian brand focused on offering innovative, clutter-breaking telecom devices. Kult, as the name suggests, is about alternate thinking- breaking the norm- with innovative differentiation. The brand is from Optiemus group, which also has a licensing agreement with BlackBerry to design, manufacture, market and distribute BlackBerry branded devices in India, Sri Lanka, Bangladesh and Nepal.